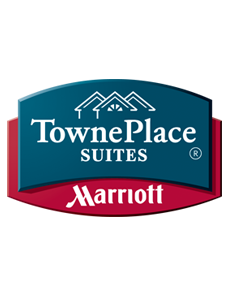 A Marriott property, Towneplace Suites in Brookfield is an extended stay hotel catering to both business and leisure travelers. Queen studio, and 2 bedroom suites are available. All have fully equipped kitchens. Complimentary services include free hot breakfast, fitness room, business center, seasonal outdoor pool, outdoor grill area, coin-operated laundry, on-site parking and high-speed internet. Pet friendly rooms are available with deposit. For more information or to make a reservation, click below.